It's a Wacky World, especially in this fun-filled adventure! 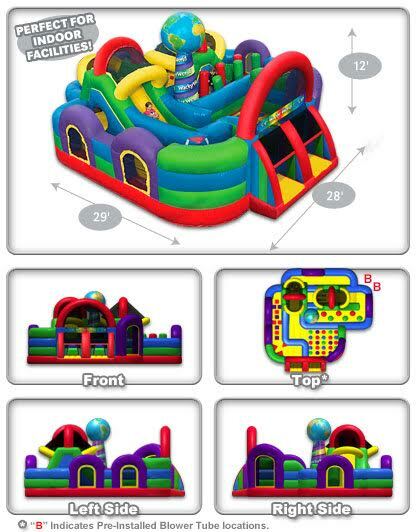 Run, climb, crawl, hopscotch, slide, jump, dodge, squeeze and twist yourself wacky. 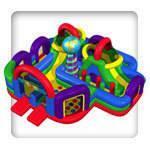 Wacky World™ incorporates both a hopscotch and twister style surface for kids to play. Excitement abounds!